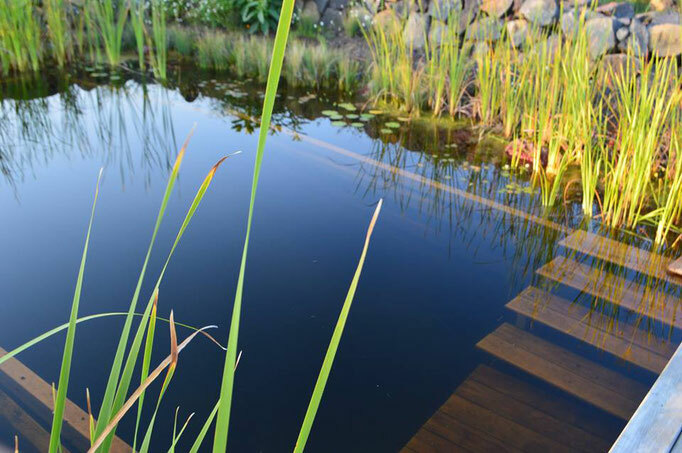 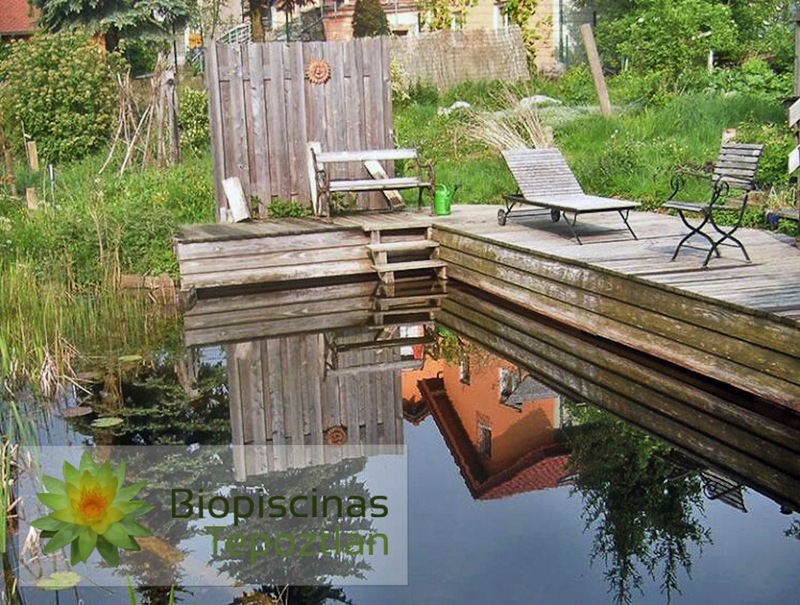 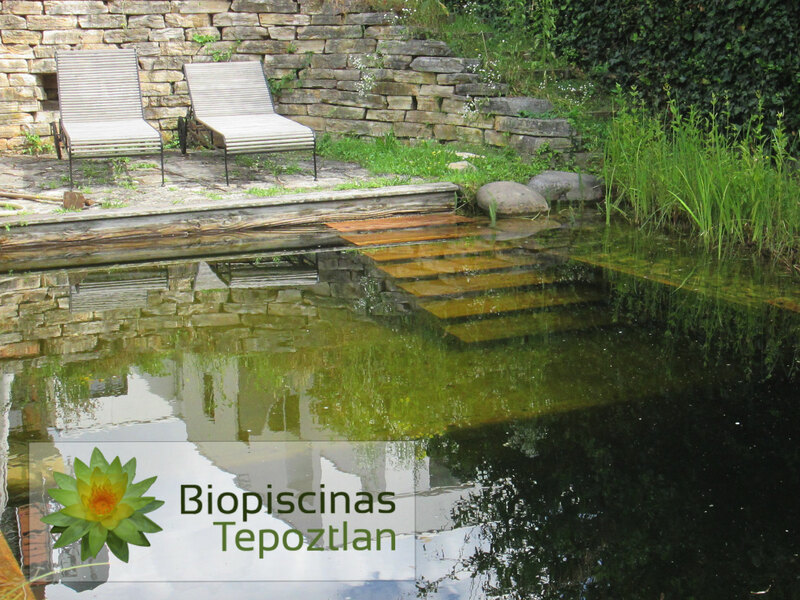 is the ecological and nature-friendly version of a swimming-pool. It works without electricity and chemicals like chlorine. 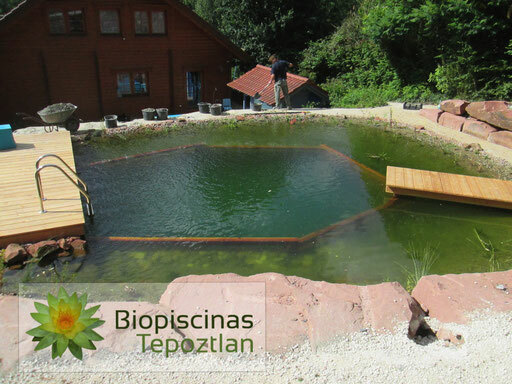 Like a natural lake the natural pool consists of an area with waterplants who clean the water and take care of the natural balance. 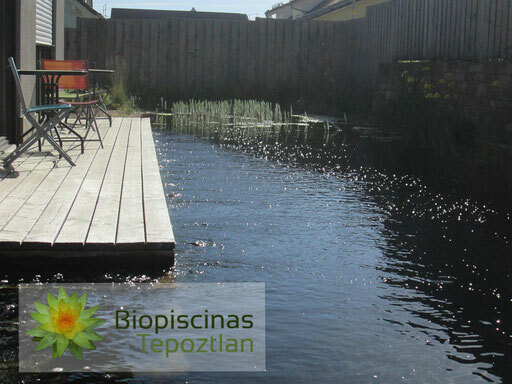 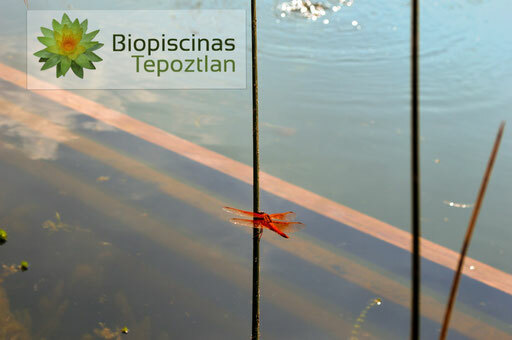 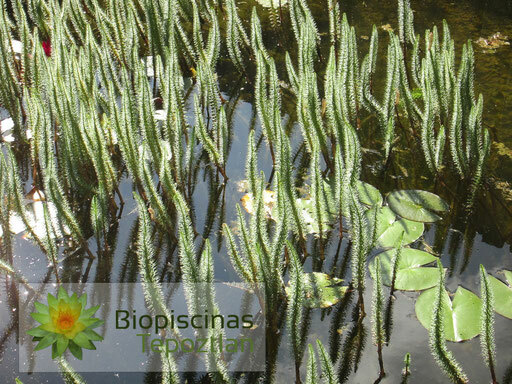 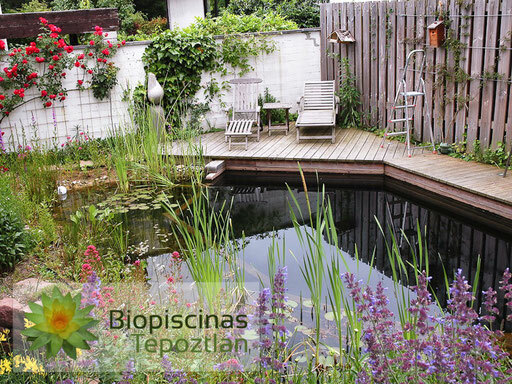 Don´t be worried about mosquitos, as they only live and grow in waters without plants and flow. 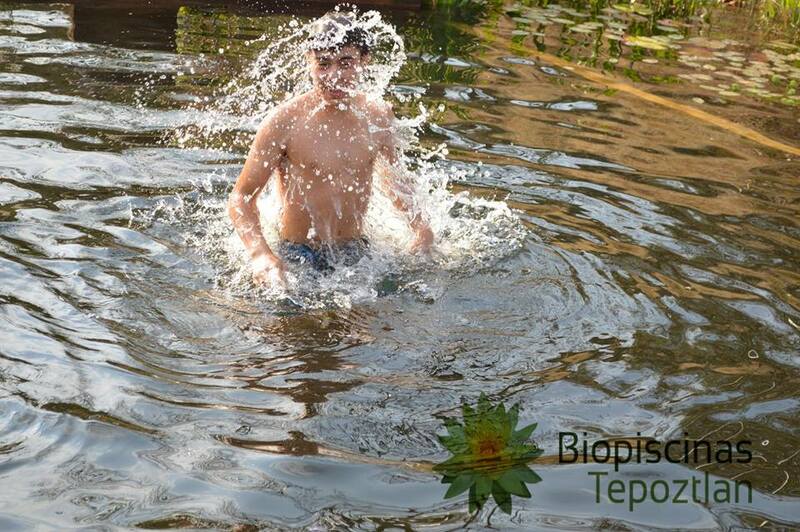 The water of the natural pool is alive and natural but absolutely clean. With a natural pool you are going to have your own green oasis, where you can relax and observe the wonders of nature, like butterflies, dragon-flies and the enchanting lotus flowers. 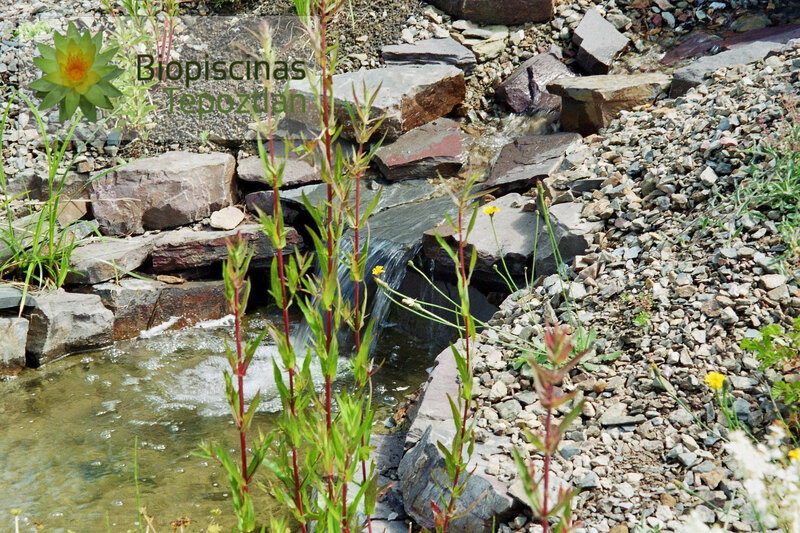 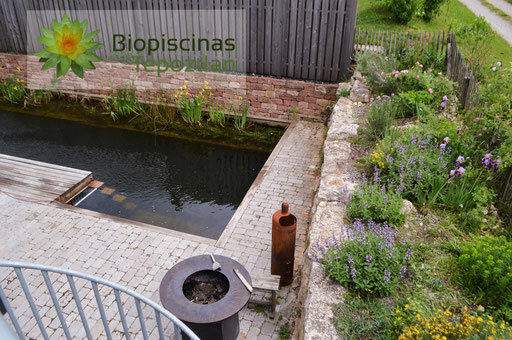 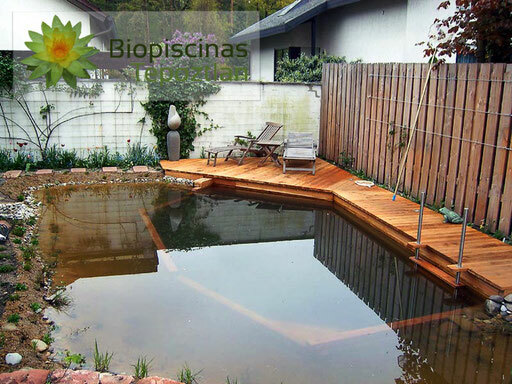 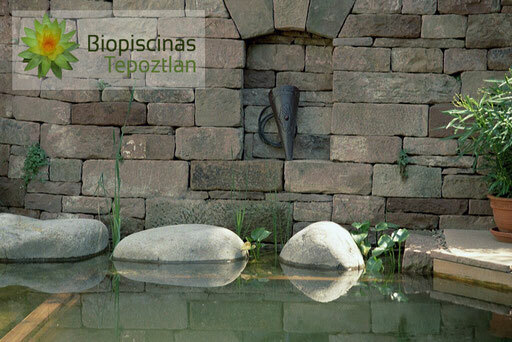 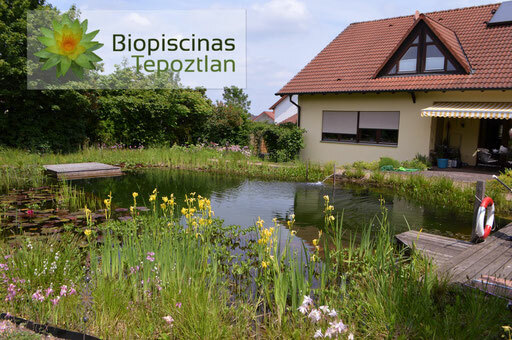 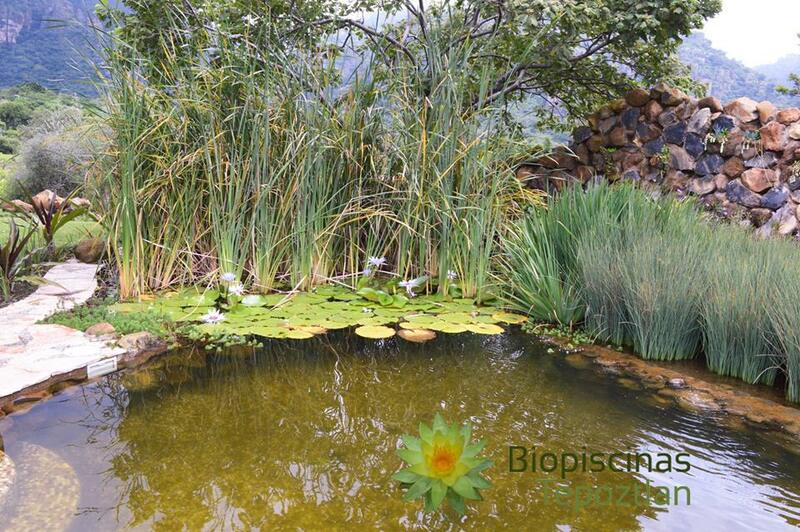 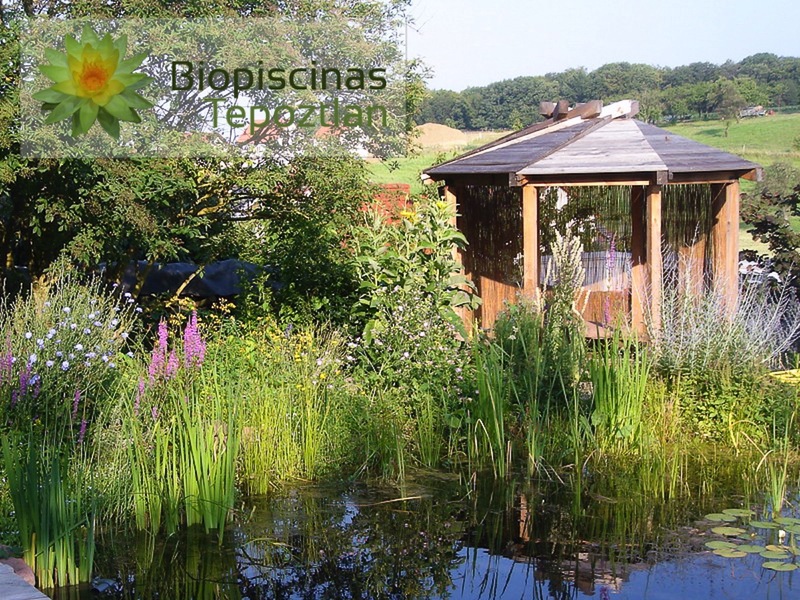 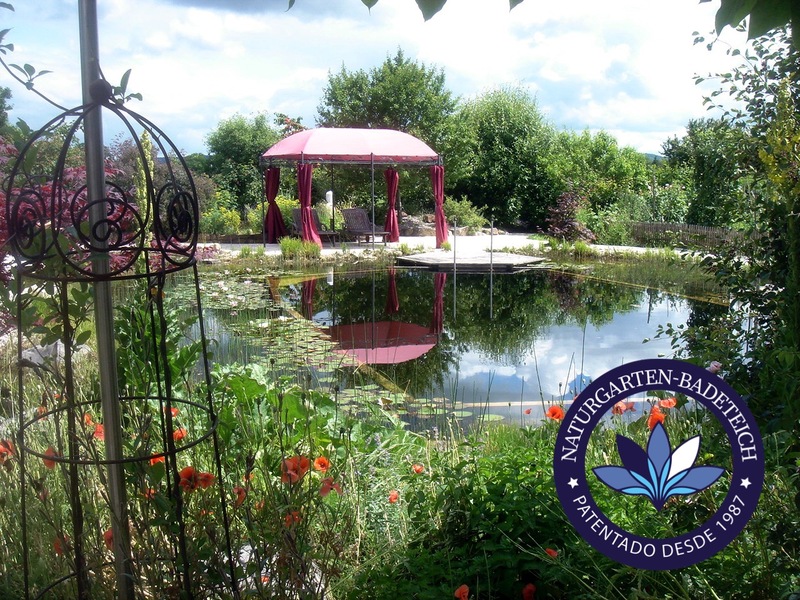 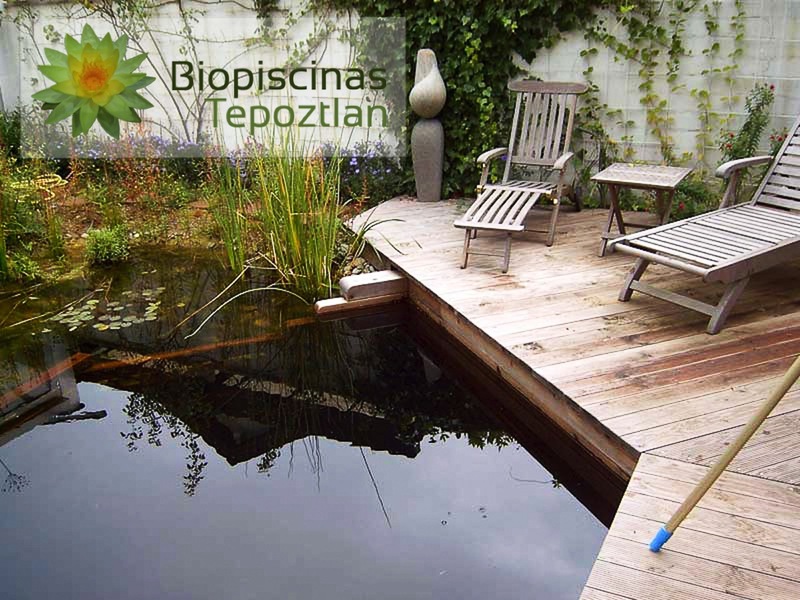 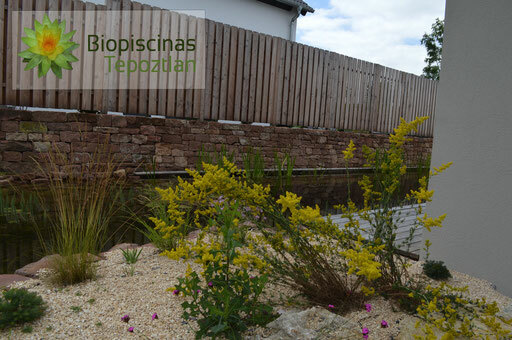 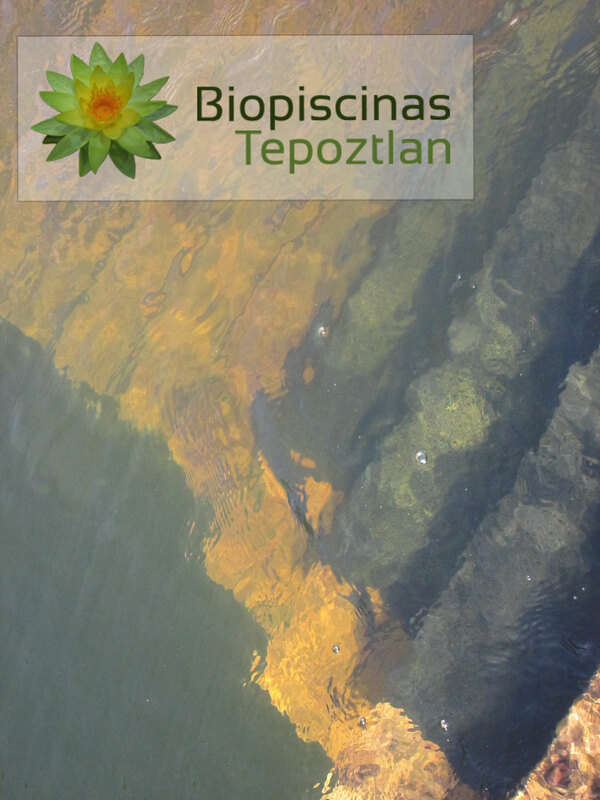 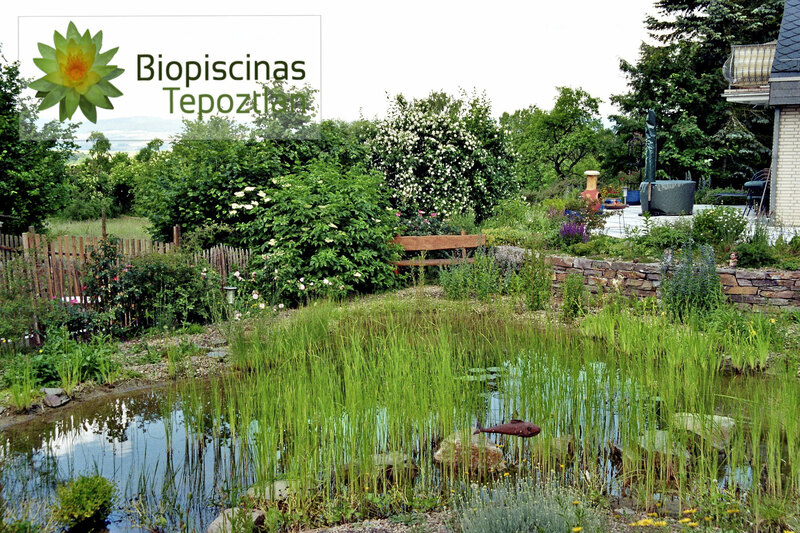 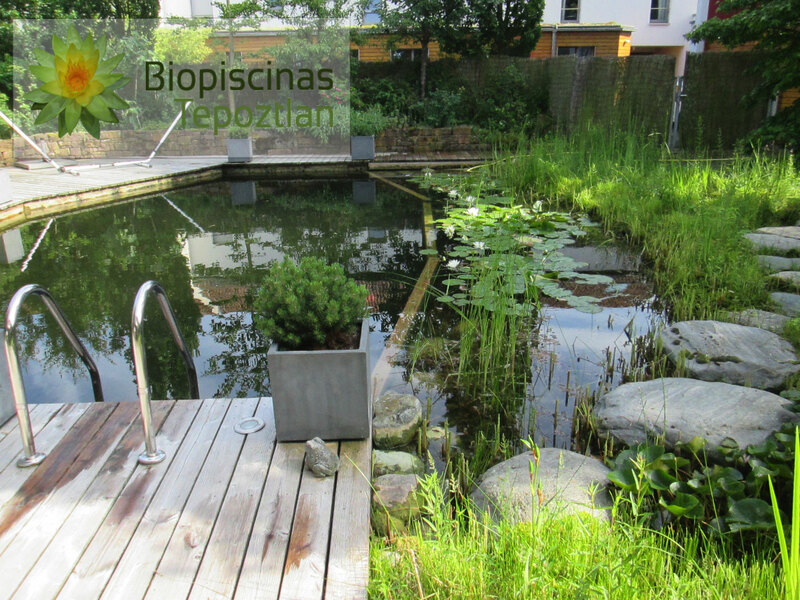 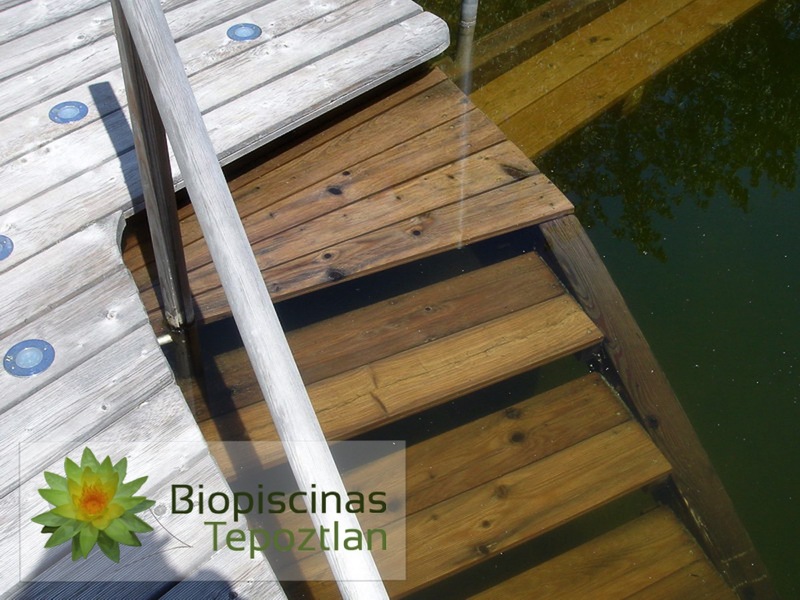 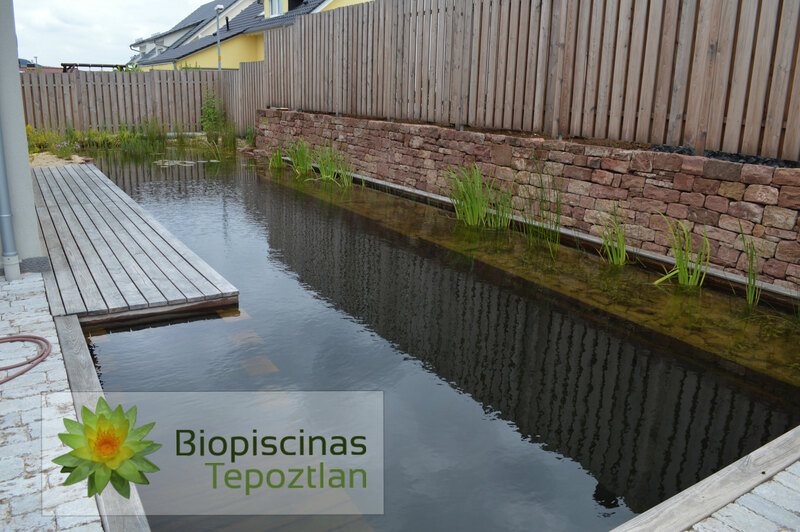 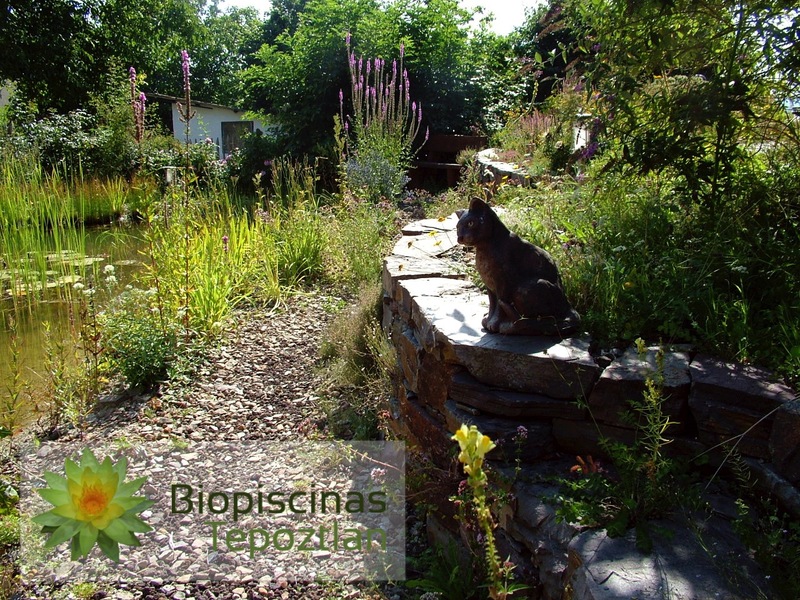 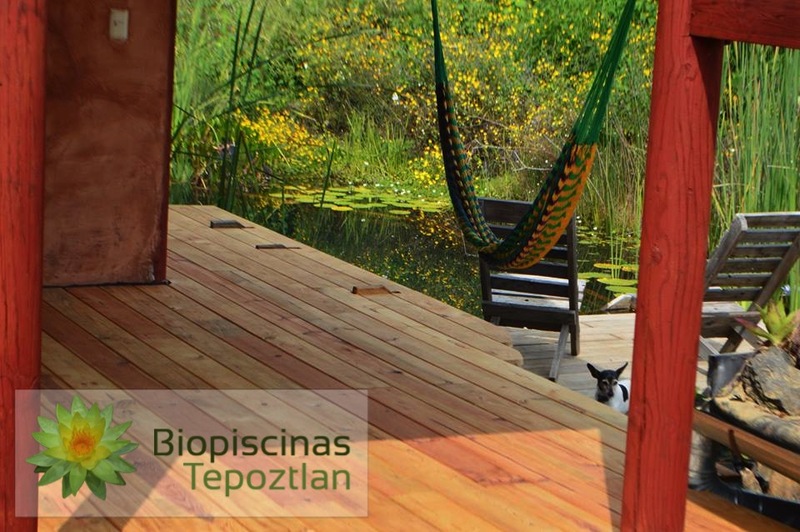 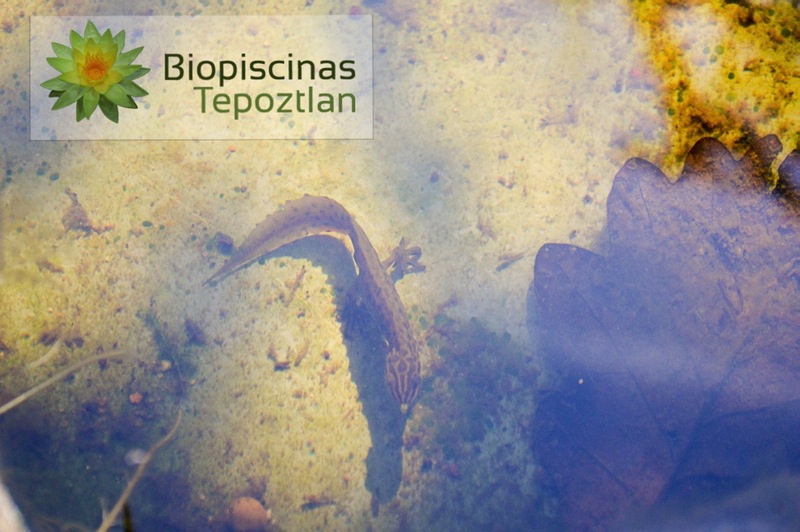 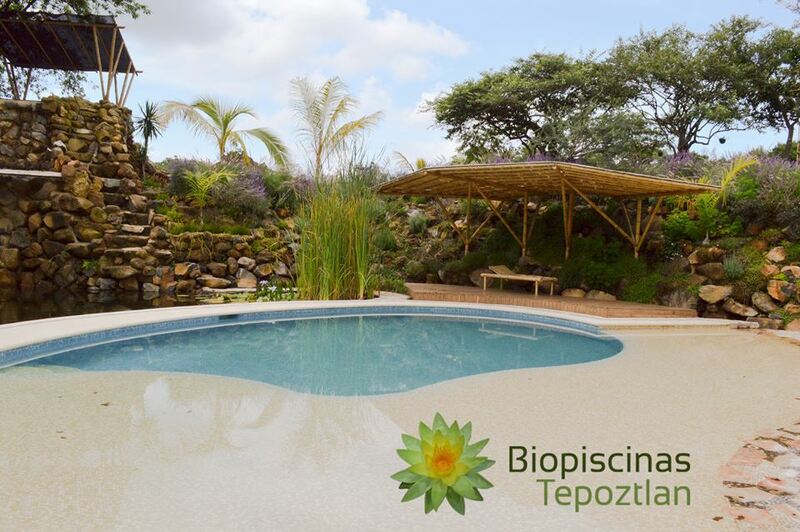 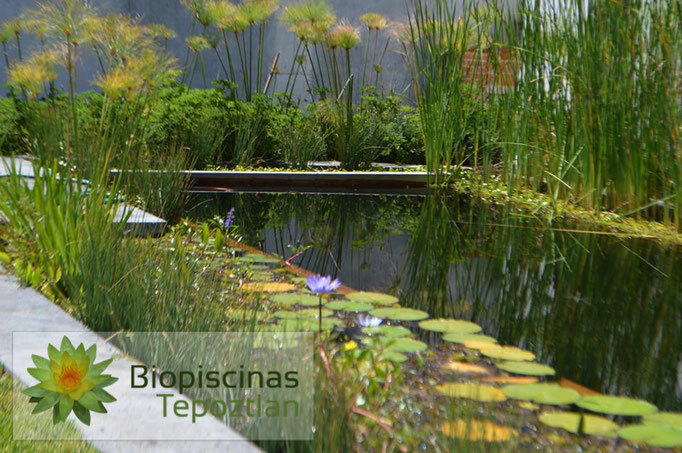 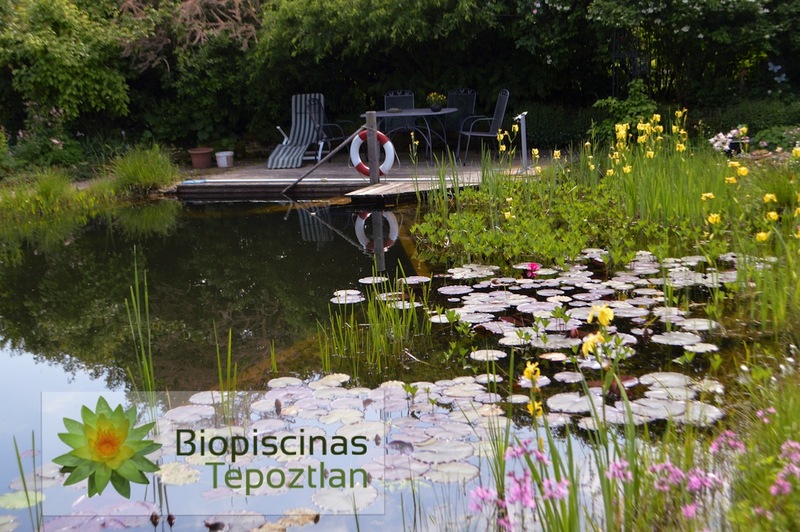 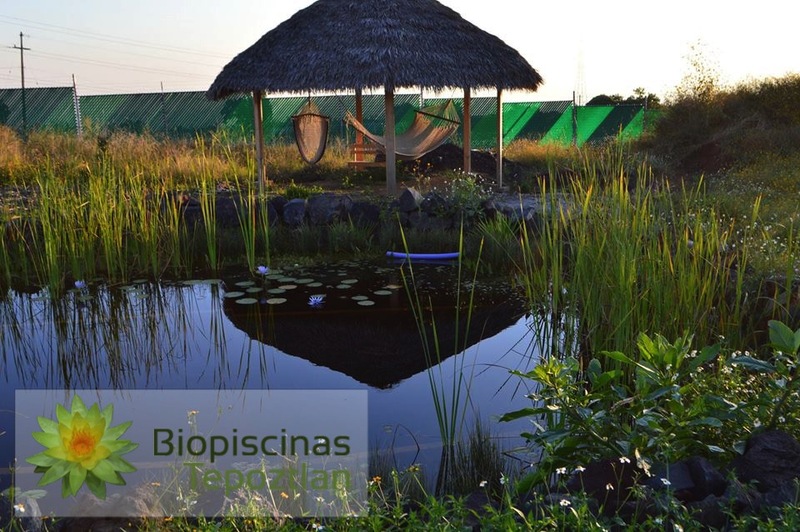 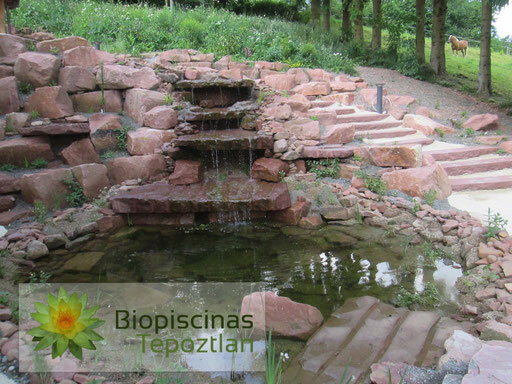 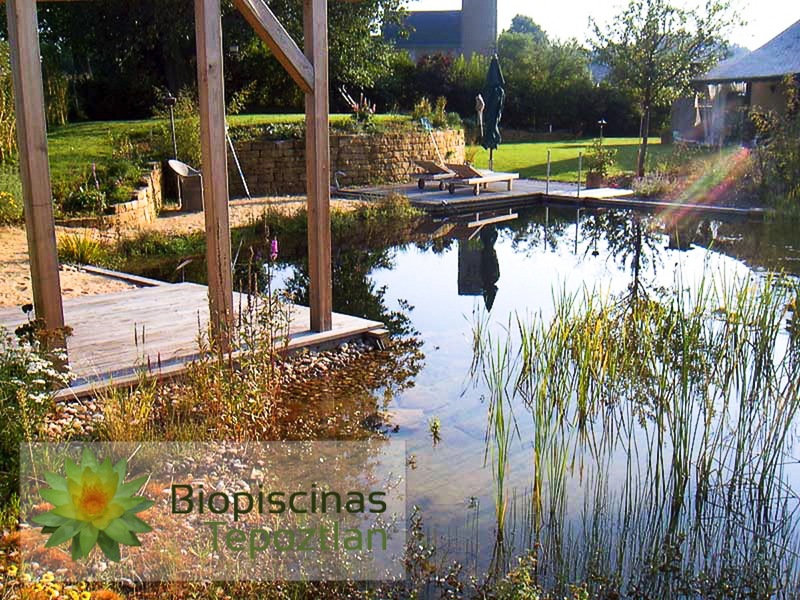 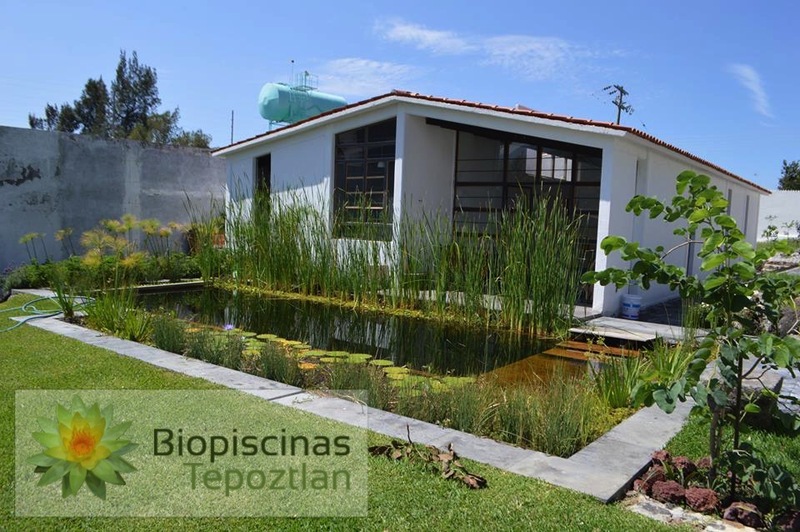 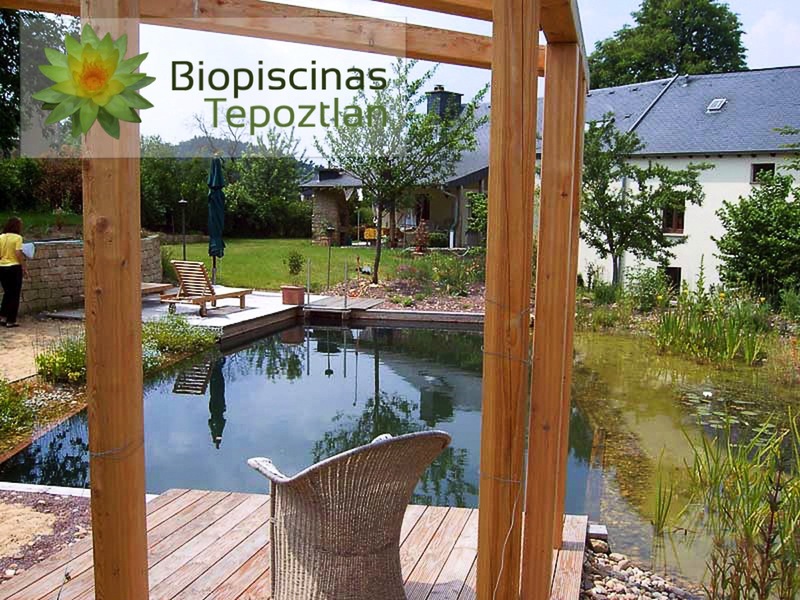 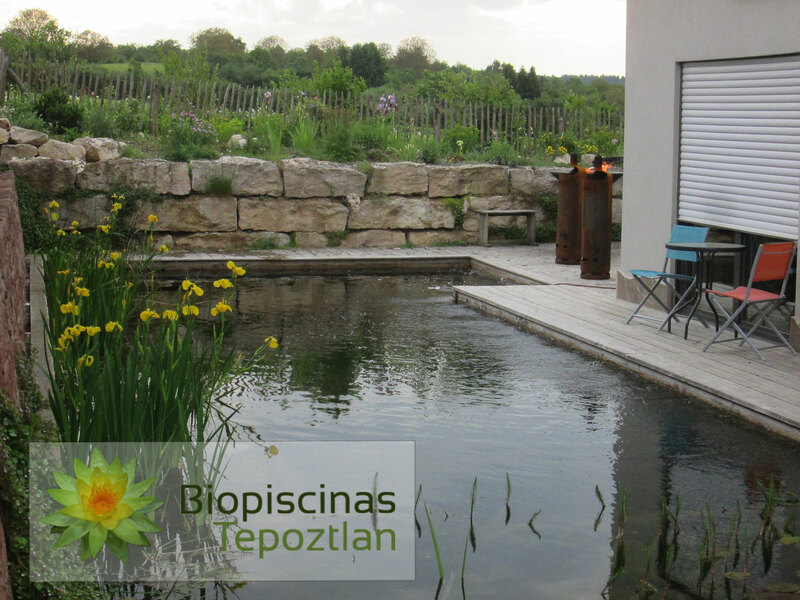 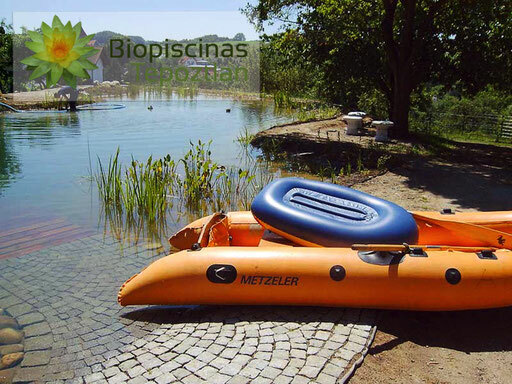 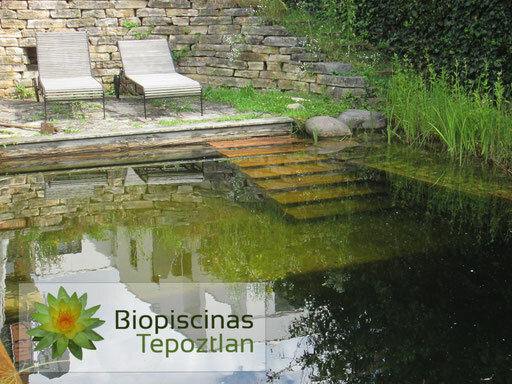 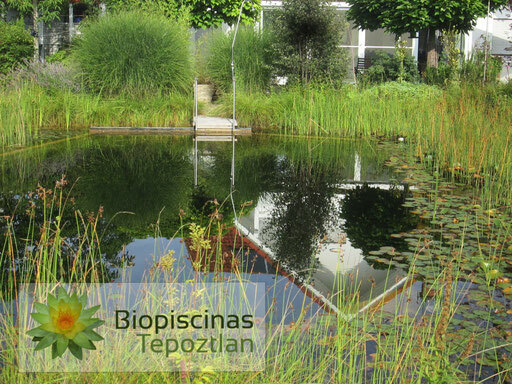 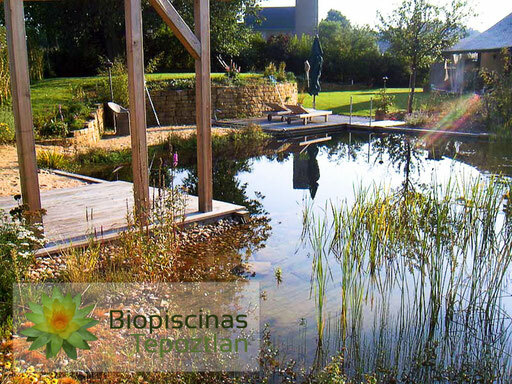 Biopiscinas Tepoztlan is building its natural pools in the style of Naturgarten Badeteich a design with more than 30 years of experience. 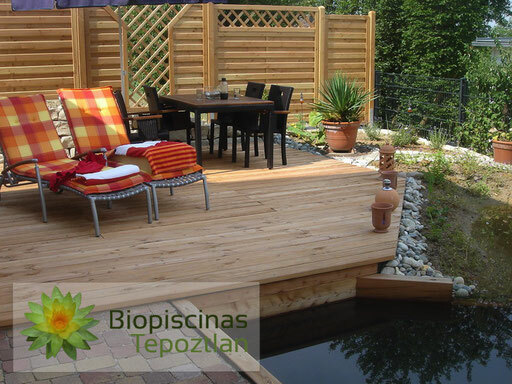 Without exception we use only sustainable material like caoutchouc, pine wood, soil and plants. 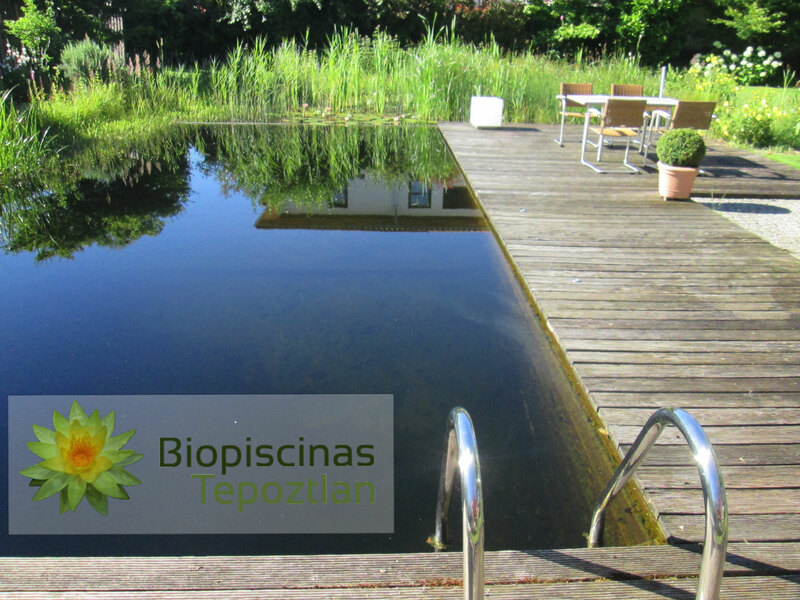 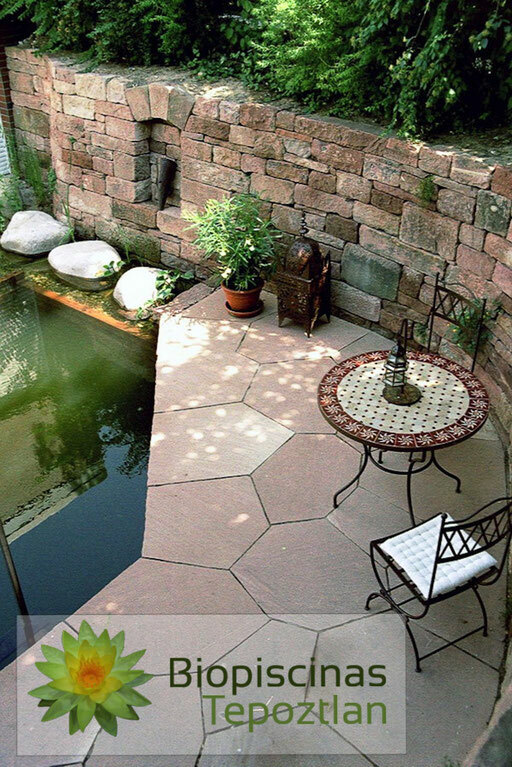 Furthermore we offer versions between swimming pool and natural pool, renovation of natural pools and conversion of swimming pools into natural pools. 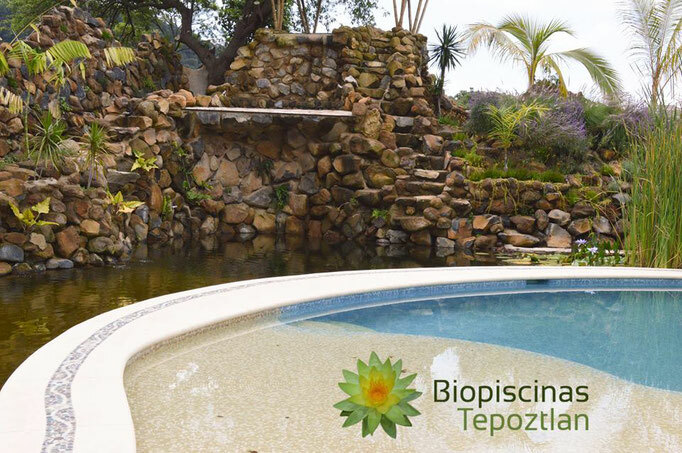 Based on a individual planning we estimate the costs for your natural pool and you can choose between planning and supervision or the full construction including excavation.